Piscine / Oceanview - Faible CAD $$ Makes Ce Great Deal !! Beautiful home perfect for a big family group. We had our family reunion at the home for a week. The home is beautiful and looks better than the pictures. There are multiple patio spaces, a great pool and hot tub and new patio furniture and a fire pit that were perfect for evenings. There was lots of space for everyone in the house and the kitchen was well equipped for cooking big family meals together. It was an amazing stay and the views are absolutely incredible. The home allows quick access to the highway to get to ferries, mountains and downtown. Stunning home tucked in the hills of West Vancouver. We had a fantastic time in Vancouver and loved staying in this house. We were a group of 13 including 5 children (ages 2-6), and we were very comfortable. We happened to be there during a heat wave, so air conditioning would have been nice (it's unusual for Vancouver to be so hot, so most houses do not have air conditioning). However, there were fans in the rooms which made the nights more bearable in the heat. Everything else was great! It was clean, spacious, had plenty of sitting places, and had nice amenities. The kids really enjoyed the pool and playground. Lastly, it was not far from any places we wanted to visit (Stanley Park, Capilano Suspension Bridge, Grouse Mountain, Queen Elizabeth Park, Museum of Anthropology, etc). We all felt it was a beautiful home in which to stay during our visit to Vancouver! 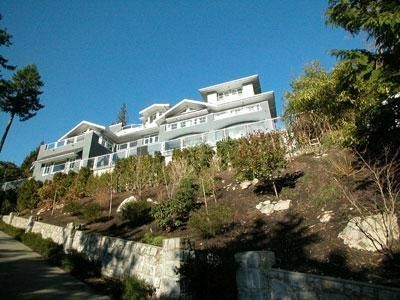 This is a beautiful, comfortable place to relax and enjoy the spectacular view of Burrard Inlet. We were a group of nine and were well-accommodated among the many bedrooms and spaces to sit and enjoy each other's company. The home was beautiful and very comfortable. There were 8 senior ladies and it accommodated us being able to spend most of our time visiting and playing games. There were plenty of bedrooms and bathrooms for us to rest and get ready for our day. Joanne was quick in answering questions we had. We all loved the view and location. It was truly an amazing trip!! !